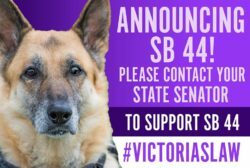 Victoria’s Law is now bill #SB 44. Contact your state senator and let them know you support SB 44. Free to a good home??? 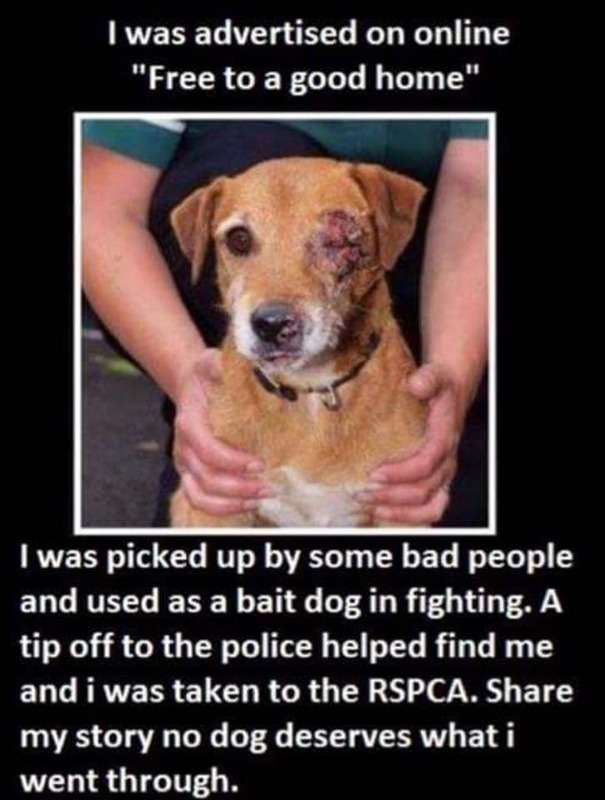 Be very careful about the pet treats that you buy. 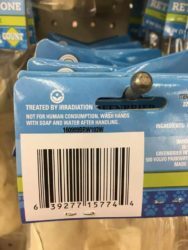 Read the labels. 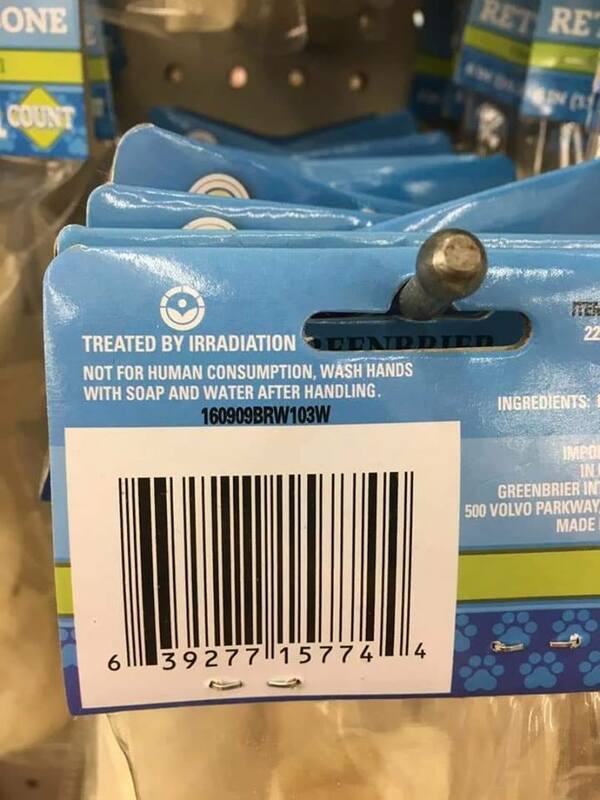 Made in china seems to be poison. YOUR dollars at work! This is our latest billboard Dec 2018. 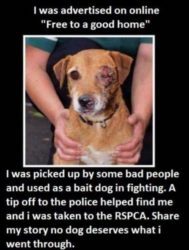 Please keep the donations coming so that we can continue spreading the word. 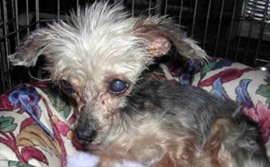 Pennsylvania has 12 of the 100 puppy mills on the Humane Society of the United States Horrible Hundred List. Seven of those are in Lancaster County. 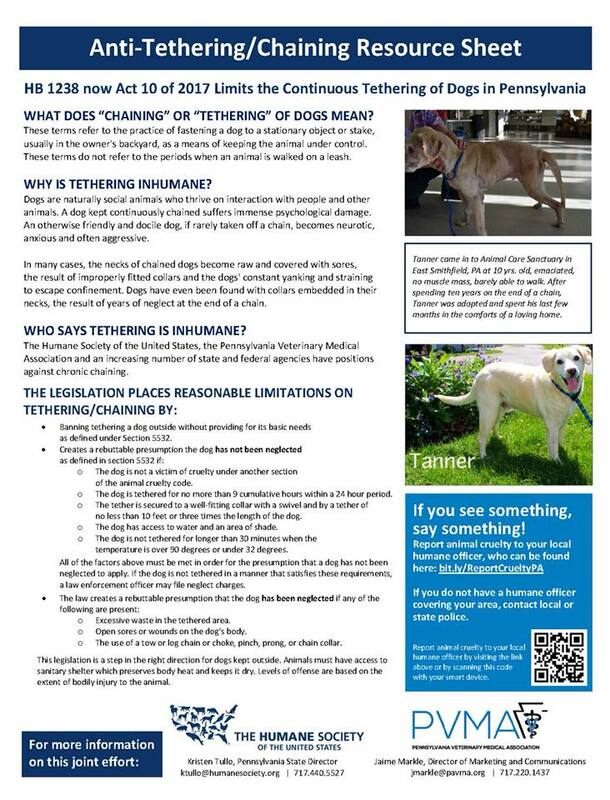 Click here to find some of the worst offenders in Pennsylvania and other states. 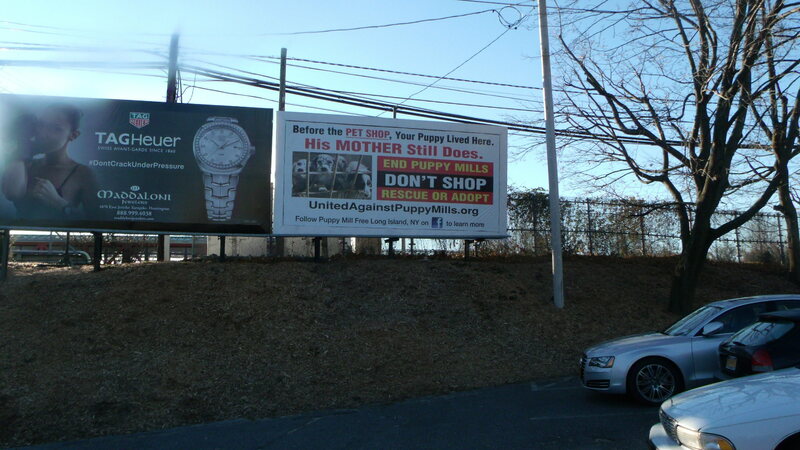 One of the ways that we use to increase awareness is through billboard advertising. 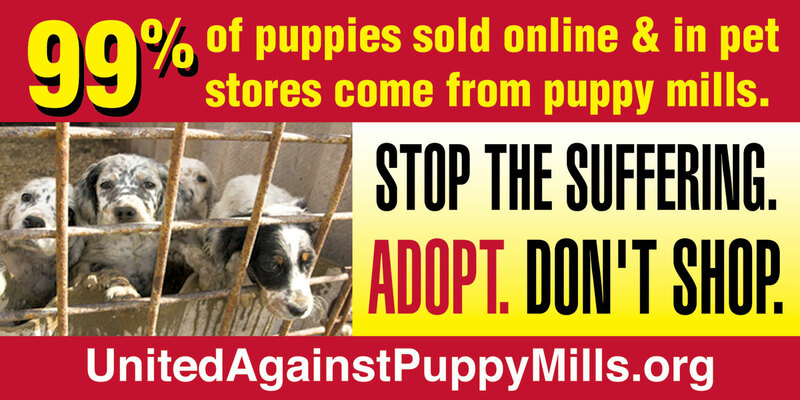 Most Americans don’t know about puppy mills, so education is critical to ending the supply and demand. 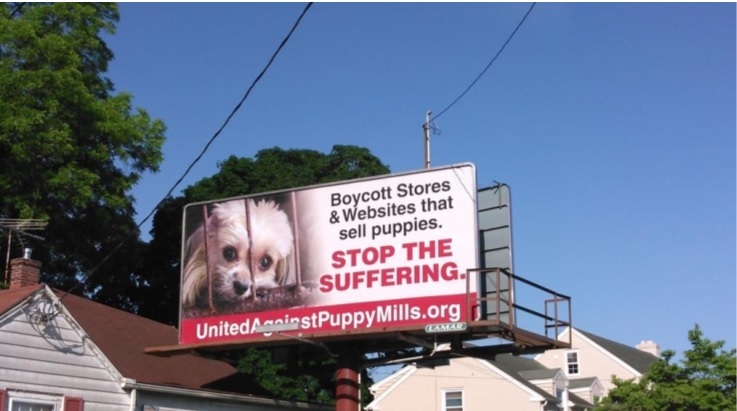 United Against Puppy Mills promotes awareness and provides help to people interested in affecting positive action for the elimination of puppy mills as they currently exist. 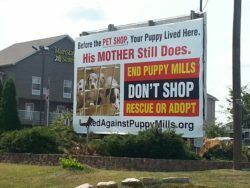 Puppy Pawz ‘Rescue’ is a fake! 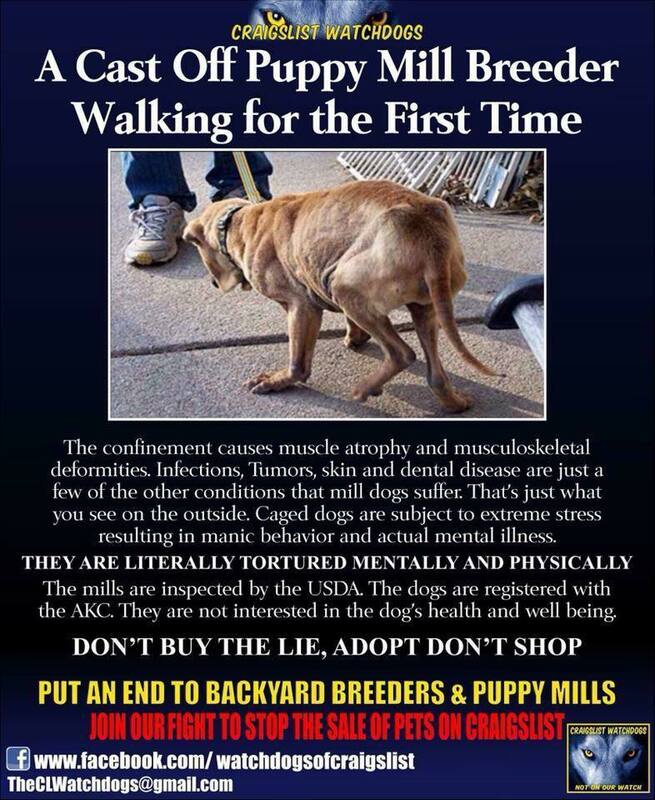 They buy puppies from a puppy mill in Ohio. 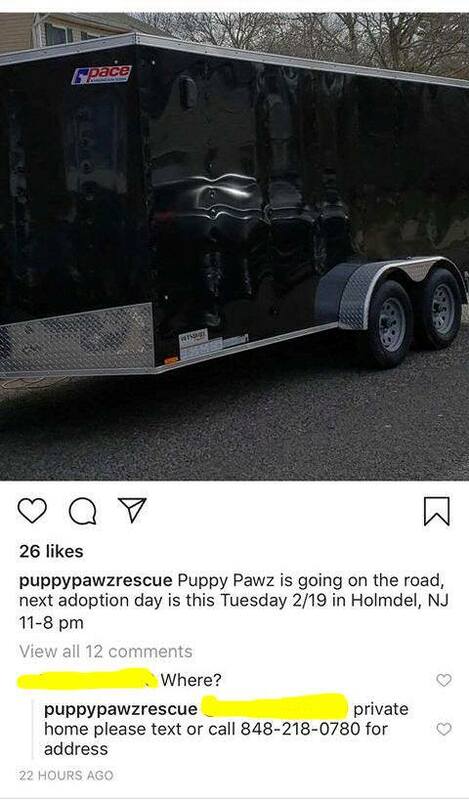 They recently purchased this trailer to transport them. 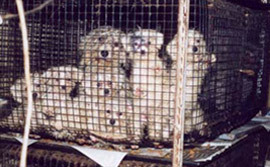 Any commercial dog breeding facility can be considered a puppy mill. 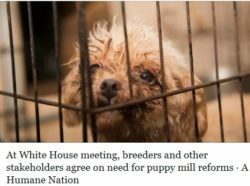 A puppy mill's sole purpose is to produce puppies as inexpensively as possible for maximum retail profit, often disregarding living standards and basic medical care. 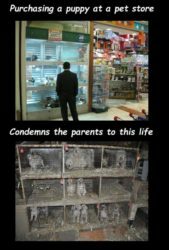 Your purchase of a mill puppy (often billed as "farm-" or "family-raised" or purchased in pet stores) continues the cycle of cruelty by putting more money in the pockets of those involved, allowing the profit to be reinvested into the business so that the breeding continues. 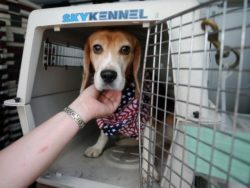 Adding a dog to your family? Make adoption your first option! 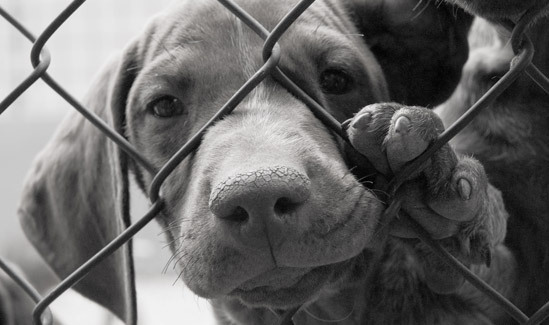 Finding what you're looking for at a shelter or breed-specific rescue is simple and rewarding. 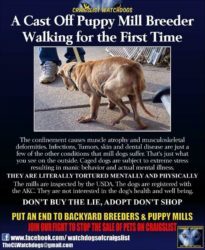 If you MUST use a breeder, research first. 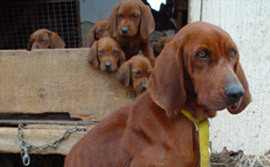 Read our recommendations for finding a reputable breeder.